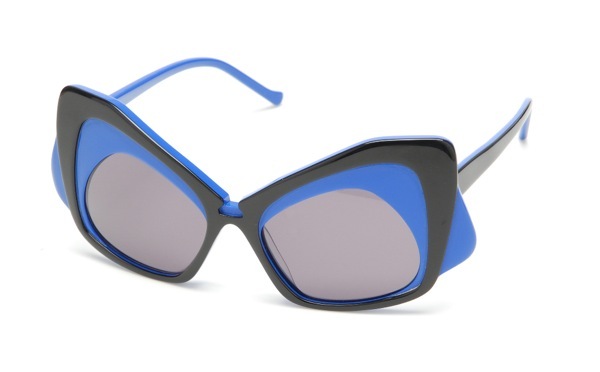 These Cynthia Rowley sunglasses are my #1 must have next-fall. They're like deconstructed cat-eyes, like a cartoonier neighbor to the ones shown at Prada. The sunglasses made me go back and re-see her collection from Fall, and I can't believe I missed these awesome pieces the first time around! 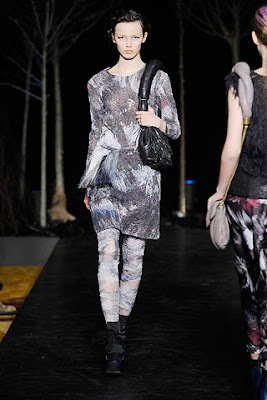 The print is like a sketched rendering of the universe and it just has such wonderful texture! Both these pieces would get A LOT of wear in my closet, and yes, I would totally rock them together too. 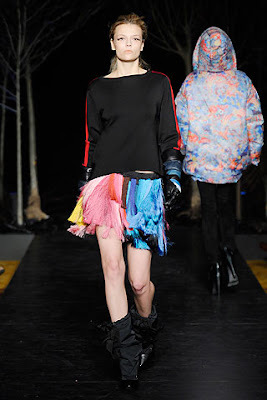 The multi-color fringed (horsehair?) skirt is EPIC and just on the right side of ridiculous. I obviously need it now. they probably make the world look 120% more fabulous. because fabulous glasses are fabulous. Deconstruction of cat eyes - love them! glasses are super cute and how'd i miss that technicolor dreamskirt either!? i love these glasses! So old school! These glasses are whacked :D want a pair!!! love the shades...the collection was no so fab in person, trust me! disappointing, i know i know.